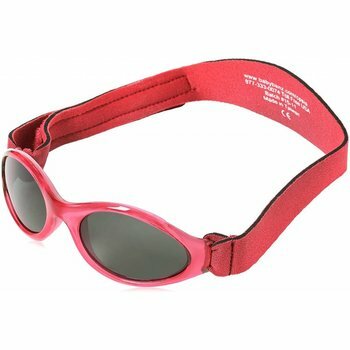 Sunglasses for Infants & Babies Age: 0-2Yr. BanZ: Adventure - Baby | See No Glare Sunglasses! 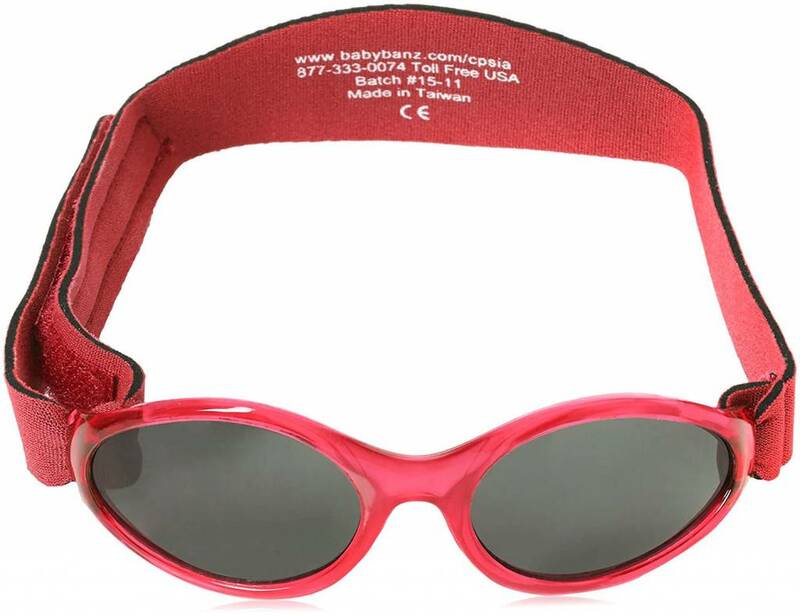 The Adventure BanZ - Baby See No Glare Sunglasses are ideal for children Age: 0-2Yr. Light, Durable, Colorful, Flexible, and Extremely Comfortable. Your Child is sure to love these high quality Infant & Baby sunglasses. Adventure BanZ - Baby: 19 Exciting Colors. Perfect for Infants & Babies Age: 0-2Yr. 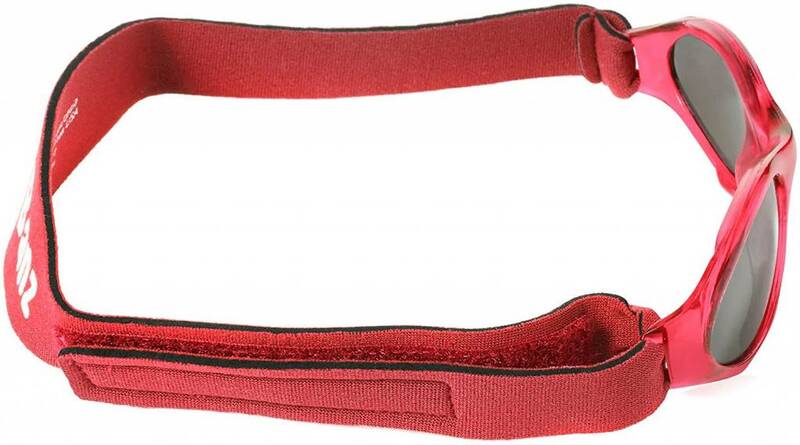 Adjustable Head-Strap with Velcro fastener. Made with no glare, impact resistant lens. Kids spend much more time outdoors than adults, making it extremely important to have year round, reliable protection against those harmful UVA and UVB sun rays. 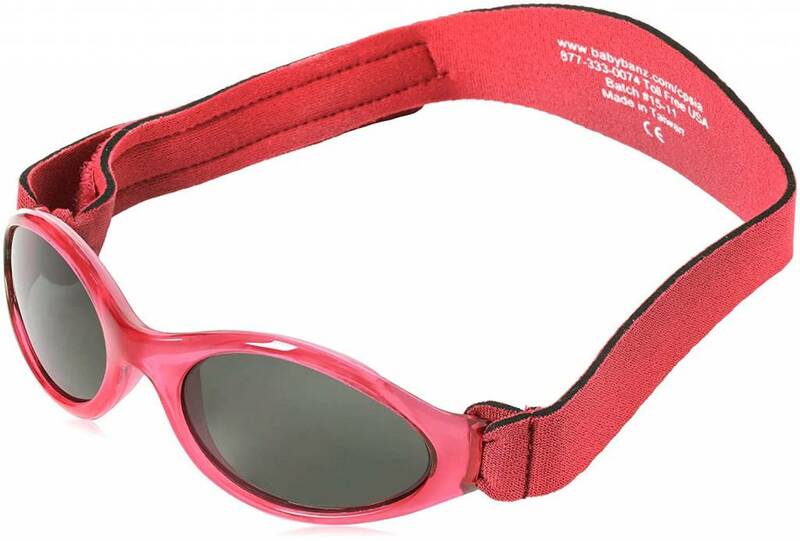 Featuring a smart, wrap round design that ensures the sunglasses stay put. BanZ also a silicone nose and brow to ensure your little ones feel comfortable & secure. The convenient hook-and-loop closure is designed easy to use, by both children and their parents. Minimum Head Circumference: 15 in / 38 cm. Maximum Head Circumference: 18.5 in / 45.5 cm.